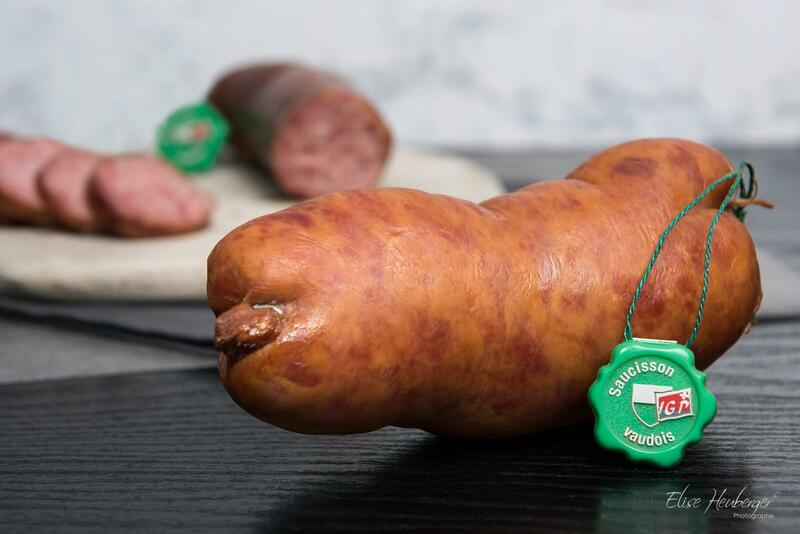 If there’s one local product with a name to make your mouth water, it’s Saucisson vaudois PGI! Since the Middle Ages, it’s been one of the region’s traditional dishes. Cooked or dried, hot or cold, it’s enjoyed as an apéritif as part of a Vaudois platter and used as an ingredient in many recipes. Saucisson vaudois PGI originated in the Middle Ages, when it was discovered that smoked meat kept its flavour for longer. Since then, this pork sausage has been a favourite with locals. 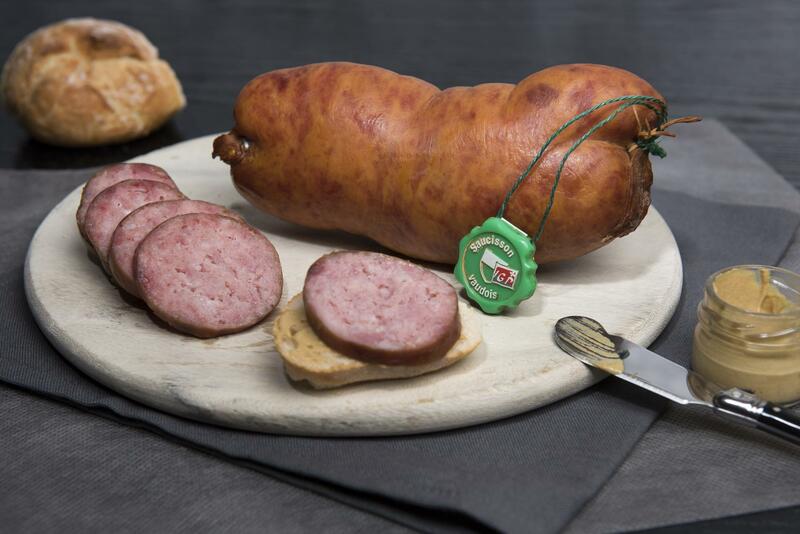 Sold in supermarkets, grocery stores and butchers with the IGP (Indication Géographique Protégée) label (Protected Geographical Indication – PGI), there are several kinds of Saucisson vaudois. Cold or dried, it can be enjoyed with bread and local cheese. It can also be eaten hot in thick slices with seasonal accompaniments or used as a mince in lots of recipes. One of the tastiest versions of this sausage is Saucisson vaudois en croute, en brioche or en manteau, where the sausage is wrapped in a crispy pastry with a delicious filling. Irresistible!